…which is pretty impressive, considering it’s technically neither a found footage movie nor a horror movie! I’ll never forget the first time I watched Catfish, which was shown to me a few years back by my friend Kristy. I knew very little about the film, and she smartly held back on offering up any information, instead telling me to just pop the DVD in my player and experience it for myself. An experience is the best way I can describe that viewing, which totally horrified me and blew my mind. Catfish was unlike anything I had ever seen before, and though I had my doubts as to whether it truly was a documentary or merely a clever ‘found footage’ film, it really didn’t even matter to me. Regardless if it was real or fake, Catfish was perhaps the most unsettling descent into the deep, dark recesses of the human psyche that I had ever experienced – which is saying something, considering I’ve been voraciously consuming horror movies for the majority of my life. The events of the 2010 film take place in 2007, with filmmakers Ariel Schulman and Henry Joost (who went on to direct Paranormal Activity 3 & 4) documenting an online relationship between Ariel’s brother Nev and a girl named Megan. As the virtual relationship progresses, it soon becomes clear to all parties involved that ‘Megan’ isn’t quite who she says she is, leading to a shocking finale where the true identity of the person behind the keyboard is revealed. To say any more than that about the plot of Catfish would kill the suspense for anyone who hasn’t yet experienced it, as it’s best to go in like I did; knowing as little as possible. So if you’ve yet to see it, I encourage you to do so before reading anything about it, including the remainder of this post – though I will do my best to keep this spoiler free. As I touched upon a couple paragraphs ago, the big question in regards to Catfish is whether it’s real or not, and it’s possible that we’ll never get a definitive answer to that question. While many believe that it’s a real story that was spiced up to ring optimum suspense out of it, others feel the entire thing was scripted from the beginning. Again, I respond to all of those discussions with two simple words; who cares? Whether it’s a movie or a documentary, Catfish is an utterly compelling and engrossing piece of entertainment, and one of the most effectively chilling horror films of the last decade. It’s likely that I’ll get flamed for referring to Catfish as a ‘horror film,’ considering nobody dies in it and it’s not marketed as such, but if we’re going by the Dictionary definition of the term horror – ‘an overwhelming and painful feeling caused by something frightfully shocking, terrifying, or revolting’ – I can’t think of a movie I’ve seen in the last few years that personifies that definition more than Catfish does. As for my claims that it’s a ‘found footage’ film, that’s essentially an umbrella term used to describe any movie told from the perspective of an individual holding a handheld camera, and Catfish very much fits the bill in that department as well. Personally, I feel that the ‘documentary’ is about as real as reality TV shows, with Schulman and Joost intentionally setting out to capitalize on the POV success of The Blair Witch Project, and essentially make Blair Witch for the internet age. Whether that was their initial intention or not, Catfish is the absolute perfect horror film for the internet age, so effectively tapping into modern day issues and fears that it’s almost impossible to even think that the movie wasn’t painstakingly scripted out before the cameras started rolling. Though nobody dies in the end, and no butcher knives or chainsaws are wielded by masked monsters, Catfish is nevertheless imbued with a feeling of suspense and dread that is quite frankly unmatched by the majority of horror films to come along in recent times. Simply put, Catfish is found footage horror at its absolute best, so impressively pulled off that it’s in fact the only found footage film that people still believe is real. Is it real? Is it fake? It doesn’t really matter, at the end of the day. Because the fact that we’re even pondering those questions solidifies the opinion that I boldly stated in the headline of this post. 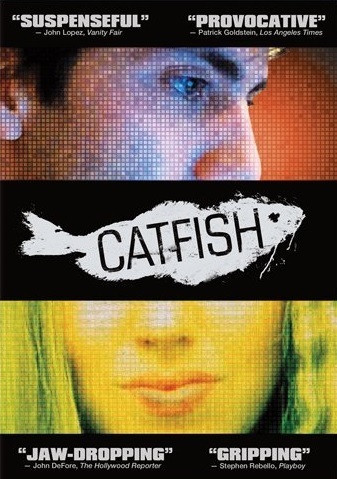 In the wake of my initial viewing of the film, Catfish has become somewhat of a pop-culture phenomenon, the term being used to describe all deceptive online relationships and the movie spawning an equally compelling spin-off series on MTV – currently in its third season. Highly recommend you check out both the movie and the series, though again I must remind you to stay far away from reviews or in-depth discussion about the movie, before you hit the play button. Be careful out there on the internet, friends. You never know who you might really be talking to. And that… is a horrifying thought.